ReutersEuropean markets were set for some additional relief on Monday after Emmanuel Macron's election as French president, though gains were expected to be limited, given the sizeable moves already seen over the past two weeks as polls pointed to his victory. 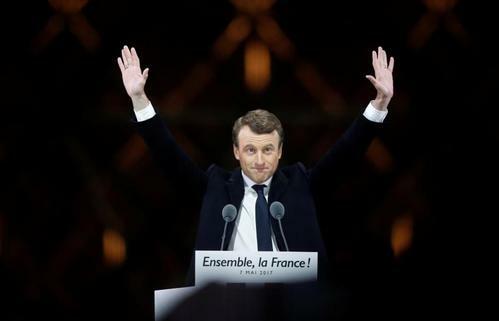 ReutersCentrist Emmanuel Macron who was elected on Sunday to be France's youngest leader since Napoleon mostly relied on a small group of 30-somethings to plot his run for the presidency. ReutersWhen they first met, he was 15, she was a married 40-year old teacher coaching him in a school play. Set to enter the Elysee presidential palace as First Lady, Brigitte Macron will keep coaching her husband, but on a bigger stage now. ReutersFrance chose centrist Emmanuel Macron on Sunday as the eighth president of the Fifth Republic. Macron spoke by phone with German Chancellor Angela Merkel after his election win on Sunday, promising to visit Berlin soon, and discussed Brexit with British Prime Minister Theresa May, sources said. Macron, who defeated far-right leader Marine Le Pen in Sunday's run-off election, had a 10-minute phone conversation with Merkel, telling her that he would travel to Berlin "very quickly," a source close to him said, describing it as a "very warm" exchange. Macron also spoke later to British Prime Minister Theresa May and Canadian Prime Minister Justin Trudeau, his aides said. Macron will be an important player in Britain's looming negotiations with the European Union on exiting the bloc. 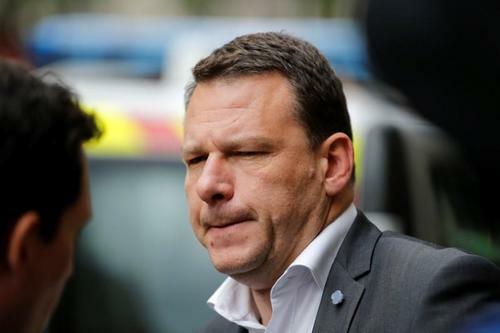 A spokesman for the British prime minister said May had warmly congratulated him and told him she looked forward to working with him on a range of shared issues. 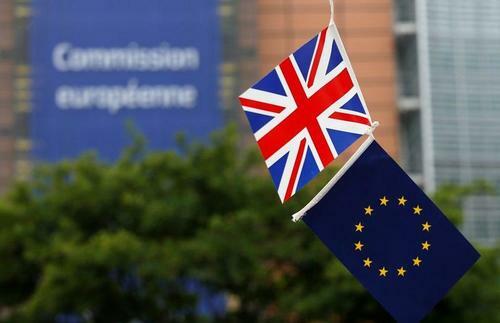 "The leaders briefly discussed Brexit and the prime minister reiterated that the UK wants a strong partnership with a secure and prosperous EU once we leave," the spokesman said. "The prime minister and president-elect Macron looked forward to meeting and holding discussions at the upcoming NATO and G7 summits," he said. ReutersFrench far-right leader Marine Le Pen said on Sunday her National Front party would be completely overhauled after centrist Emmanuel Macron defeated her in France's presidential election. 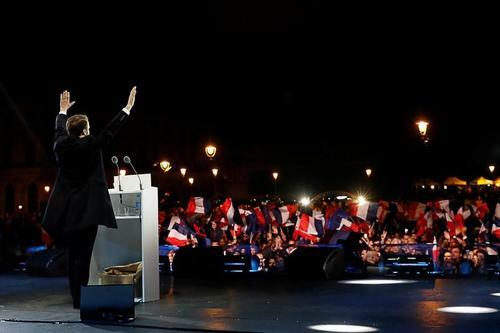 Reuters UKEmmanuel Macron was elected French president on Sunday with a business-friendly vision of European integration, defeating Marine Le Pen, a far-right nationalist who threatened to take France out of the European Union. Reuters UKFrance's President-elect Emmanuel Macron will be tough in negotiations over the terms of Britain's departure from the European Union but will not seek to punish Britain, his economic adviser said on Monday. "Buy the rumour, Sell the fact"
After rising immediately after the open, European stocks have given up some of those gains and are now trading flat to slightly lower. France's CAC touched a 9 and a half year high before turning lower, with Accor, Orange and Credit Agricole among top gainers there. Banks have also turned lower. This weakness isn't exactly surprising, given the surge we saw after the first round of French voting. Looks like most of the perceived positives of a Macron outcome were already priced in after the first round. European shares continue to trade in negative territory as investors take profit after the widely anticipated victory of Macron. In spite of the weakness on the day, investors remained positive overall about prospects for the region's equities on the back of one of the best earnings season in many years and bright macro data. “The market had already strongly rallied into this election.... a major risk-on catalyst is now behind us," said Emmanuel Cau, global market strategist at JP Morgan. "This result could still boost inflows, and make the European region more investable in the medium term. Investors are coming back into the region and a re-rating will be supported by these increased inflows." Meanwhile a survey showed that investor sentiment in the euro zone hit its highest level in almost a decade in May, improving more than expected thanks to a strong assessment of the current economic situation and expectations that political uncertainty will diminish. ReutersRussian President Vladimir Putin told France's President-elect Emmanuel Macron on Monday he wanted to put mistrust aside and work with him, in a change of tack after the Kremlin expressed support for Macron's rivals in the presidential race. ReutersFrance's President-elect Emmanuel Macron will be tough in negotiations over the terms of Britain's departure from the European Union but will not seek to punish Britain, his economic adviser said on Monday. ReutersEmmanuel Macron's victory in the French presidential election and his plans to swiftly implement structural reforms is a boon for Paris in its efforts to attract banks and other financial service companies seeking to move operations out of Britain, the head of lobbying group Paris Europlace said on Monday. 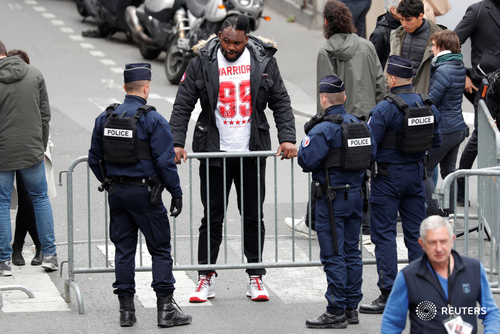 ReutersA hundred and forty-one people were arrested in Paris after trouble flared overnight following Emmanuel Macron's victory in France's presidential election, police said on Monday. Reuters UKIn December, one of the trades of 2017 for investors who play on global political and economic risk was the spread of populism in Europe and the threat that might pose to the future of the euro. 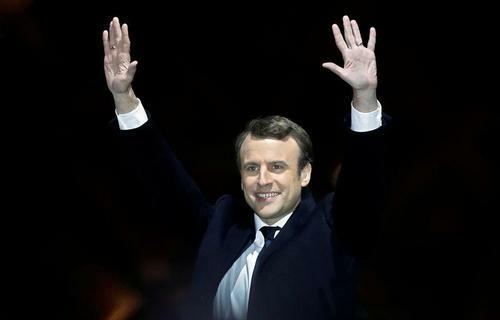 Reuters UKEmmanuel Macron may have won Sunday's presidential election by a comfortable margin, but even his supporters' enthusiasm is tempered by the scale of the challenge that the inexperienced politician faces in tackling France's deep-seated economic, social and security problems. 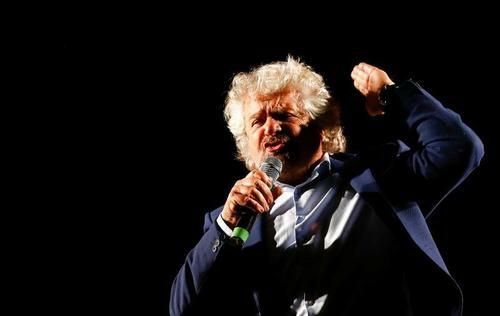 ReutersBeppe Grillo, founder of Italy's 5-Star Movement, said on Monday pro-euro politicians would be boosted by the result of France's presidential election even though the single currency had been a "disaster" for Italians. 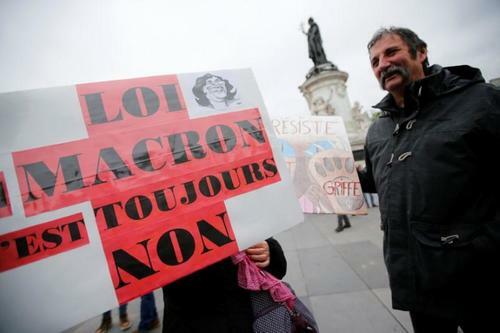 ReutersIn the days before Emmanuel Macron traveled to Berlin in March to meet Angela Merkel, people in his entourage debated what message he should send to the German chancellor. 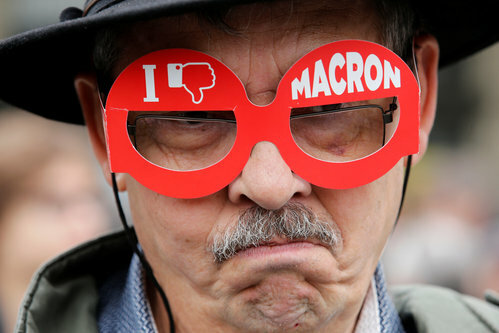 A demonstrator wears cardboard glasses with the message, "I don't like Macron" as people gather to protest the day after the country went to the polls, in Paris. 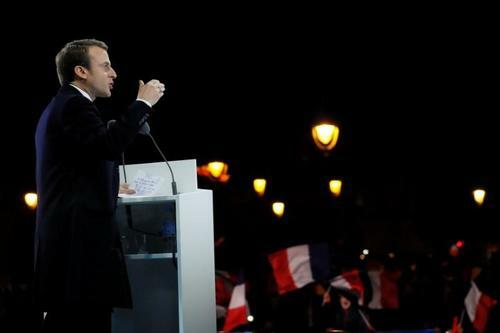 ReutersGermany on Monday reiterated its opposition to the introduction of joint euro zone bonds a day after the election of French President-elect Emmanuel Macron, who favors more European integration. Fed's Bullard says Macron's victory in the French election does not appear to have been unexpected by markets, or change his views about risks facing the U.S.
Europe's political establishment entered 2017 in a state of panic. Britain had voted to leave the European Union six months before and the United States had just elected a president who was hostile to their grand project and the values it stood for. 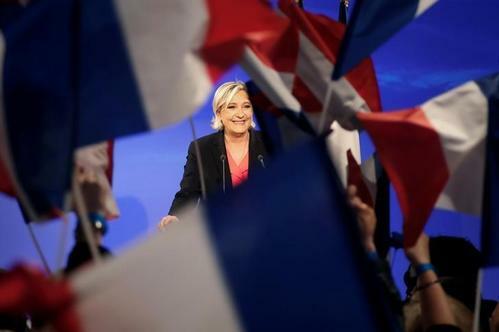 Reuters UKMarine Le Pen's defeat in France's presidential election has triggered a rare public display of disagreement among officials and allies of her National Front on the far-right party's policy of quitting the euro. 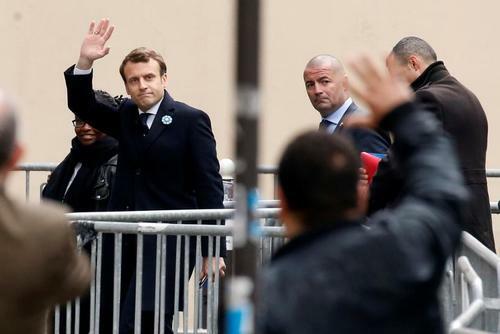 Reuters UKEmmanuel Macron was confronted on Monday with pressing reminders of the challenges facing him as France's next president, even as allies and some former rivals signalled their willingness to work closely with him. Erdogan and Macron discussed the importance of overcoming Turkey-EU issues in coming period: Turkish presidential sources. Senior French conservative Christian Estrosi resigns as president of Provence-Cote D'Azur region. ReutersThe outpouring of international relief over the French far right failing to seize the presidency says a lot about the febrile nature of modern Western politics. ReutersManuel Valls, a former French Socialist prime minister, said on Tuesday that he wished to support President-elect Emmanuel Macron's political movement in the June elections in the lower house of parliament.